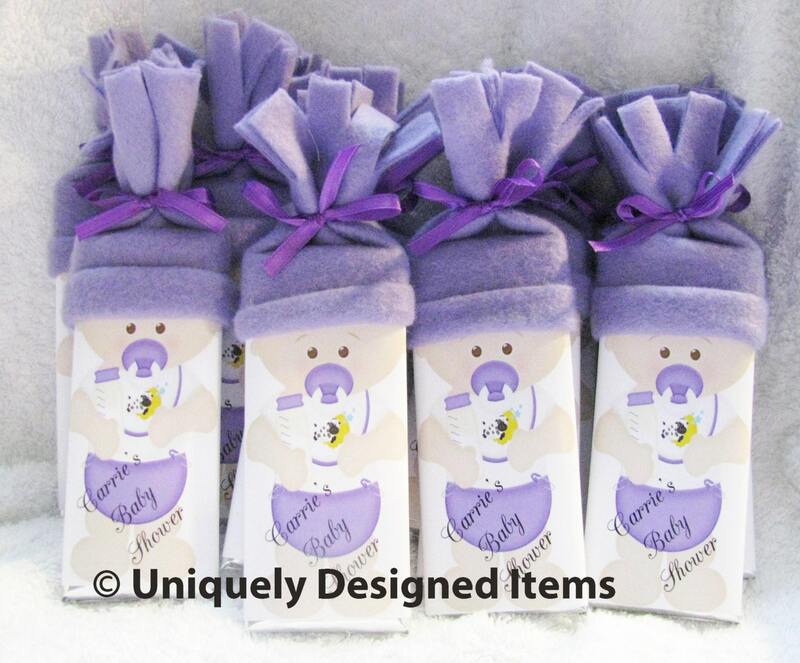 Baby Shower Favors- Baby Shower Favor - Baby Shower - Personalized Party Favor - Ready to Pop Baby Shower - Hershey baby bars - purple! 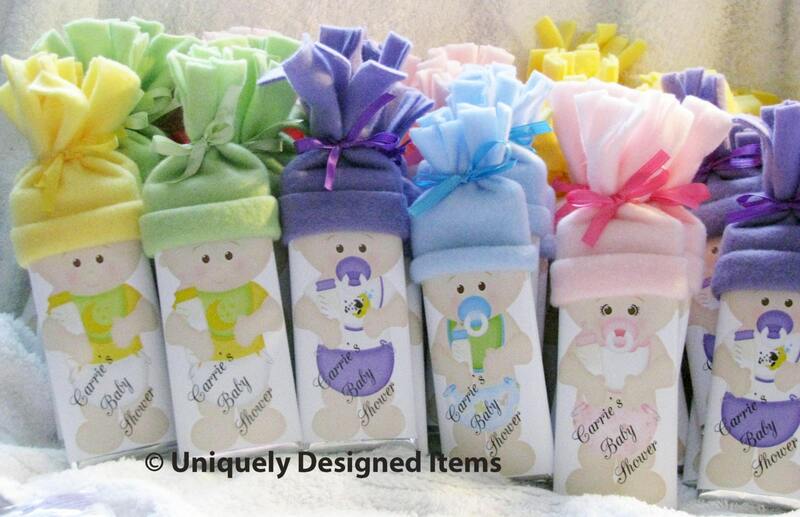 Want something really special for your baby shower favors? Our baby bars have been really popular in pink and blue. So the last few weeks I have been working on adding new colors. Recently adding yellow and green for those who are waiting to see what the baby will be (or maybe like yellow or green better). And now I'm adding purple. I love lavender and I think its a great alternative to pink! So if you are expecting and want to have something lavender instead of all pink (I think even the girls get tired of pink sometimes!). 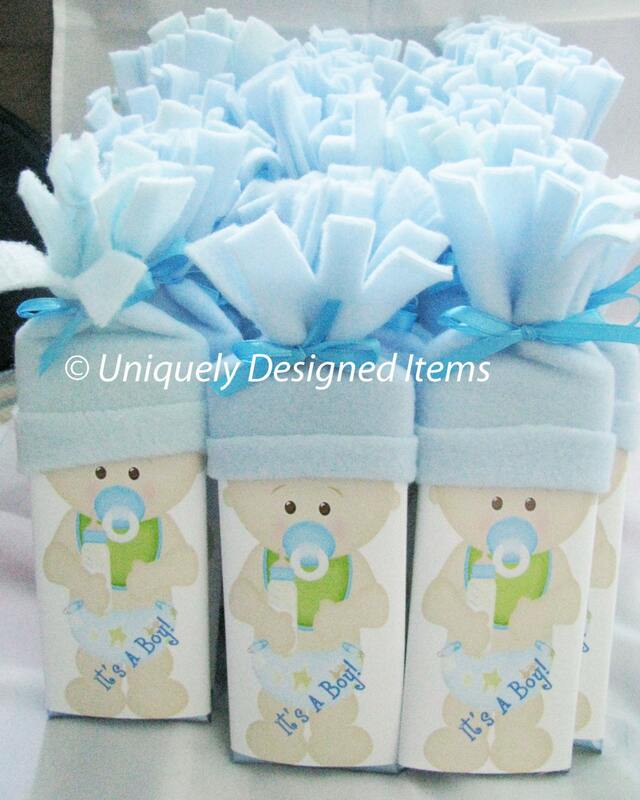 Then we have the perfect item for your baby shower or baby announcement. Our baby bars are a full sized Hershey bar, designed with the wrapper personalized just for you (and as you can see up close the baby has a cow jumping over the moon on her bib). 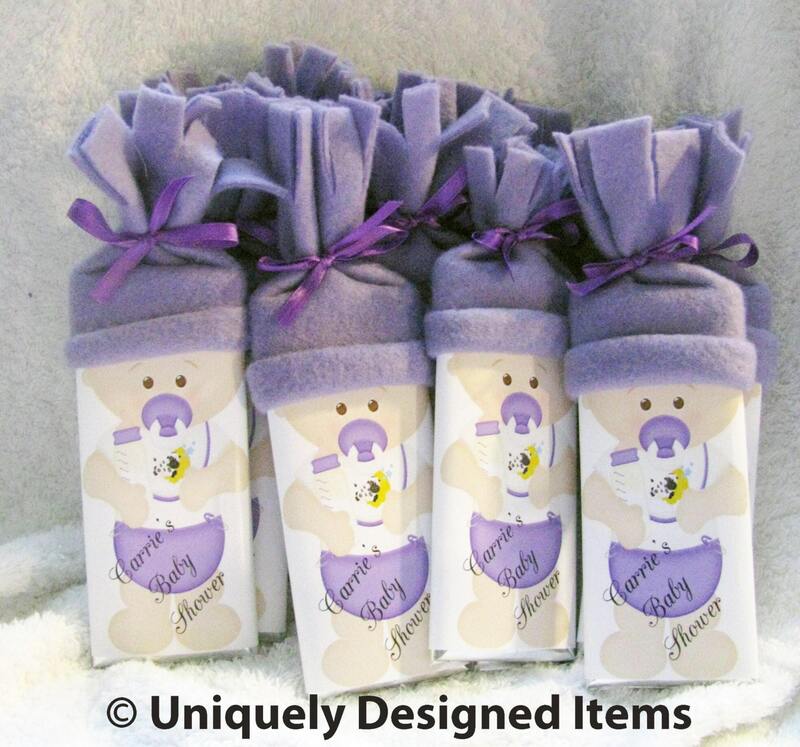 It comes with a lavender baby bar hat in fleece, tied with purple ribbon (or request white for a contrast!). 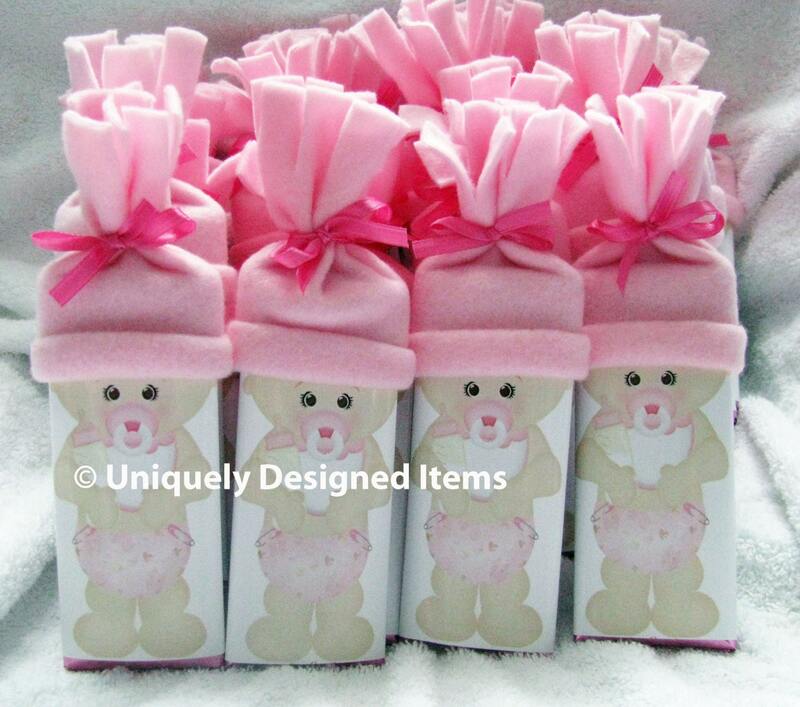 I know these cute baby shower favors will be the hit of your special event! Convo me and I'll place a custom order or change this to the amount you want. With the shipping for that amount. I'm excited to work on an order for you and this special time in your life!